Kitchen utensil fashion is a growing industry in the world of Psycutlery. Hey. If you can dress up your dog, why can’t you dress up your foons and sporks?! After all, since kitchen utensils exist for the sake common etiquette, cleanliness and overall decency — why would you eat your ramen noodle soup with a NAKED spork?! So, naturally, since Psycutlery is a game for all ages, the magical, floating spork at the center of it all had to wear something. 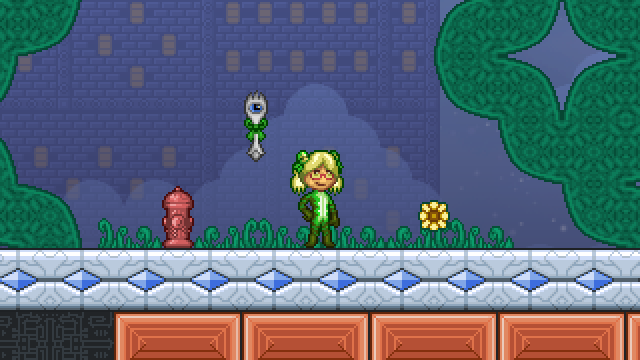 Since the player character, Lillian the Alien wears green bows in her hair, the natural choice of foon fashion would be a similar green ribbon, yes? And indeed, the ribbon was long intended to be a permanent fixture of the spork. Never to be removed. Especially not in public. Because that would be disturbing. However, all of that would change when I decided to not in any way rip off Donkey Kong Country Returns, a game that I have NEVER EVEN HEARD OF and throw in support for silhouette-based levels. Who is Dankey Kang, anyway? Like my inspiration, I wanted the key features of the main characters to shine through the darkness. In order for that to happen, said features needed to exist on a separate layer from the rest of the blackened part of the screen. 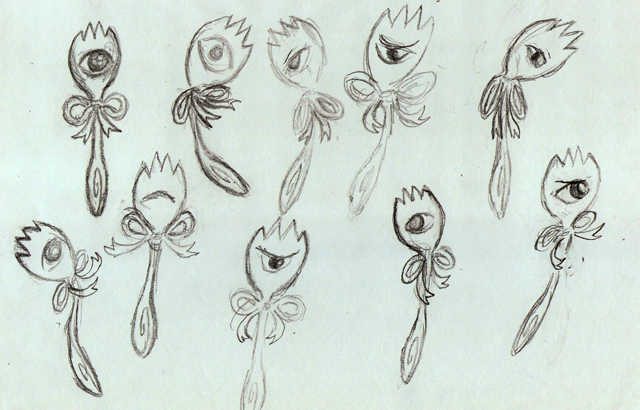 …and with the ribbon no longer being a part of the spork’s sprite, there came new possibilities. What else can your tableware wear? Some kinda… rainbow… feather collar thing? I dunno. …and 24 additional accessories to come (all to be decided)! 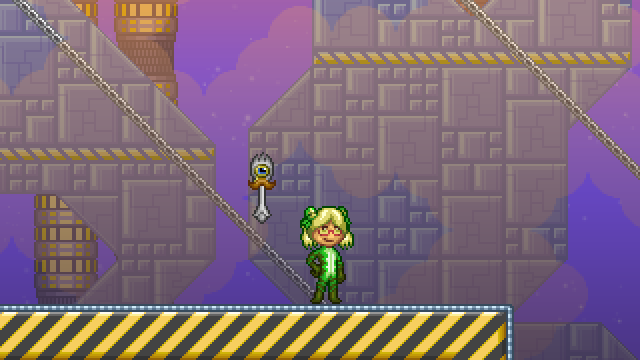 These accessories don’t have any actual effect on the gameplay, for the ability to look COMPLETELY FABULOUS is game-breaking enough, as everybody well knows. Besides, there are other items on the screen that actually do do things — breath mints that temporarily grant unlimited uses of Lillian’s breath powers, mouthwash that restores health, and a toad amulet that grants temporary invincibility. 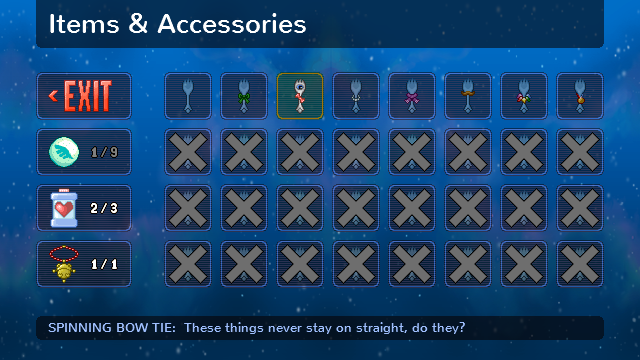 These were thrown in to justify the idea of having an “items” menu for the accessories… or in that case, do the accessories justify the items? HMMMM! 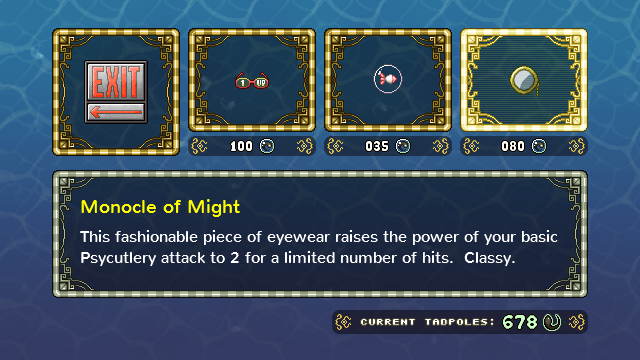 The Monocle of Might doubles the power of your basic attack, while transforming your psychic weapon into the most refined and sophisticated piece of silverware this side of the galaxy. And yes, it stacks with the other accessories too. Mustache and monocle: a truly classic combination. ARRGH, NO! PUT SOME DARN CLOTHES ON! Gosh. So much for this being a game that kids can play. Oh well. 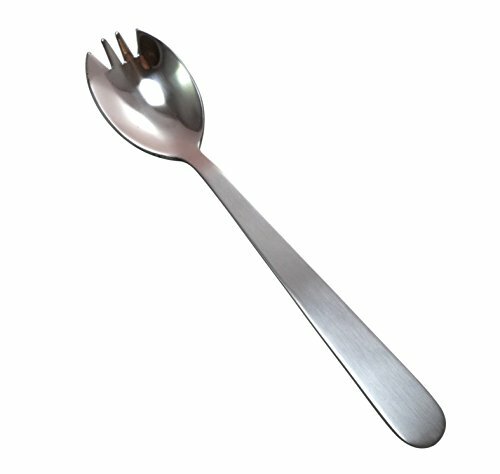 So, what do you think the spork should wear? 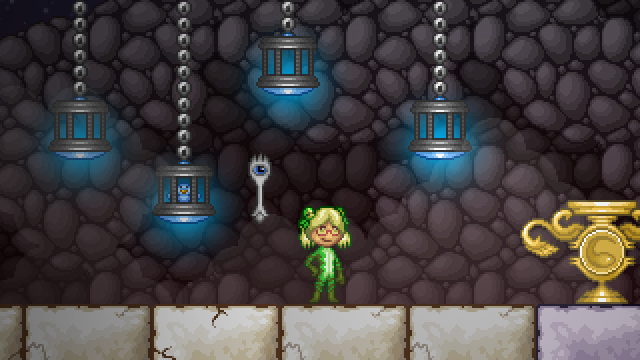 We have 24 accessory slots to fill out, so now is the time to send any suggestions my way. 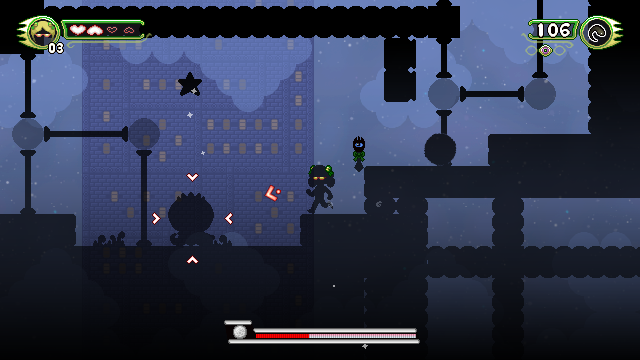 Let me know — your ideas could be in the game, perhaps! Eyes in Everything reveals… EVERYTHING! Let’s test this thing out!